Every day after lunch we head back to the room so I can read a loud from a chapter book. We turn the big lights down and only use the floor lamp and everyone gets to stretch out and lay down on the big rug. I use this time to read just for fun and to build their listening comprehension. 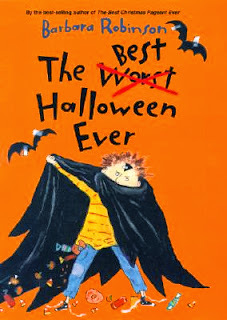 Here are a few fun Halloween chapter book suggestions. My sister just shared this book with me over the weekend. I picked up these from Barnes and Nobel. 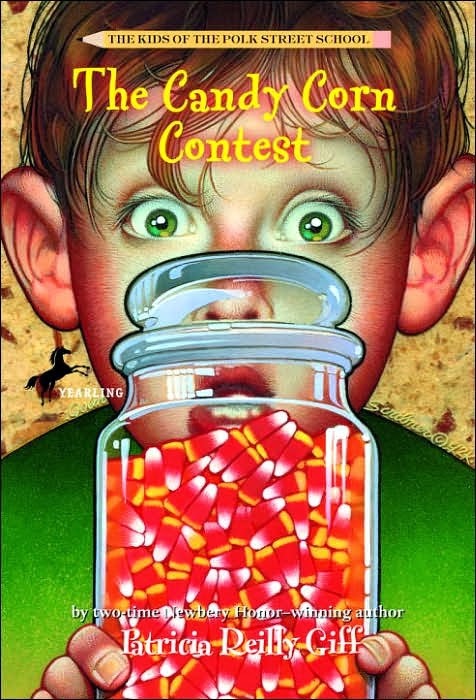 This was a class favorite from last year. My students enjoyed this book better than The Best Christmas Pageant Ever. I think it was easier for them to understand and relate to. They thought those Herdman's were wildly funny! 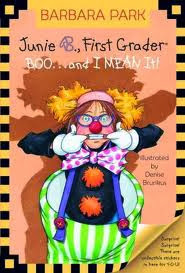 and don't forget everyone's favorite kindergartner.... Junie B. Jones Boo... and I Mean It! Thanks so much for the great book reminders and intro to some new books. I'm going to have to get my hands on Mrs. Patty is Batty. Looks so cute.